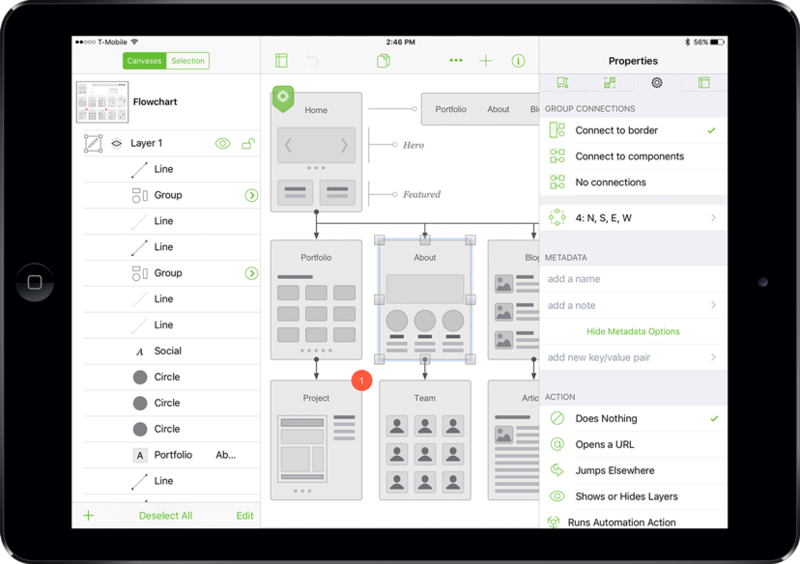 OmniGraffle 3 for iOS is out! We’ve improved the entire interface, added scripting capabilities with Omni Automation (cross-platform with OmniGraffle 7.4! ), and introduced new features you may have already noticed in OmniGraffle 7 for Mac: canvas size modes, artboards, text-to-shape conversion, and the ability to import SVG files. Check out all the new features, then take advantage of the brand new 14-day trial. 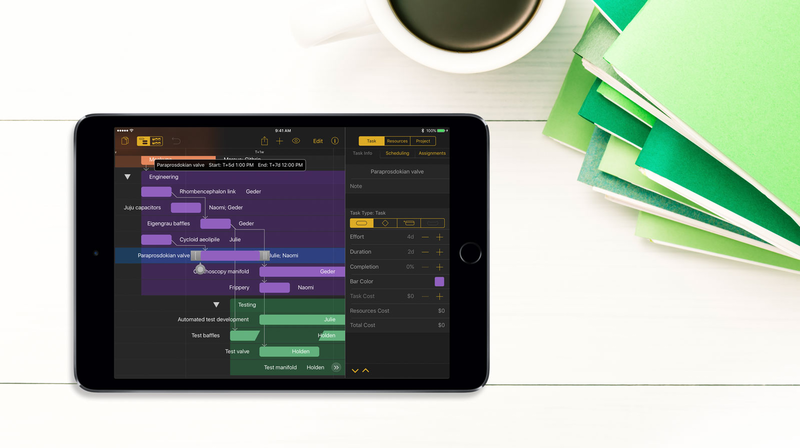 OmniPlan 3 for iOS got a big update in July, too. Say hello to optimized inspectors, a complete dark theme for an easier-on-the-eyes-at-night way to work, and support for importing & exporting elapsed time values (to and from Microsoft Project®). Plus, that free 14-day trial. The latest version of OmniFocus for iOS also includes a pretty simple change: the app is now a free download and offers a free 14-day trial to all new users. If this is what you’ve been waiting on, now’s your chance to take it for a spin. Finally, we’re happy to share something that gets along with OmniFocus for Mac. 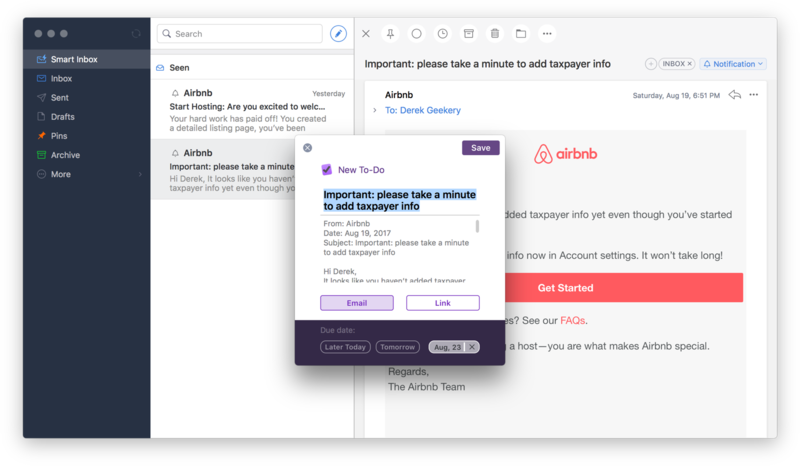 Our friends at Readdle just released an update to their free email client, Spark, that adds direct integration with OmniFocus. It’s super easy to send over the text of an email, or a link back to Spark — an even easier way to keep all of your tasks in one spot. Take Spark for a spin, or learn more about the update from their most recent blog post. We’re anxiously awaiting the September announcement for iOS 11! You can help us test our apps if you’re already running the beta OS, by the way. Plus, wait for the next edition of this newsletter for information about OmniOutliner 3’s Public Test (for iOS)!